I love reading non-fiction. 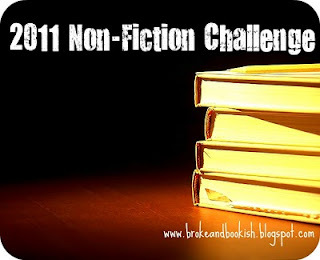 So I came across the non-fiction challenge from The Broke and the Bookish and decided to give it a try. I'm going to try for at least 7-9 books, but this might be difficult for me since all of the books have to be from different categories (culture, art, food, travel, history, etc.). I tend to just read food and travel memoirs so I'm really going to have to branch out for this one. But I am up to the challenge! It runs from now until December 31st.